Last week I read an article about an open letter to J.K. Rowling. “That could’ve been me writing that letter” I immediately thought. In fact, I wrote a letter to Ms. Rowling many years ago. A not-so-open letter that I never sent. If you don’t know who she is - stop reading right now, we are no longer friends- just kidding! J.K. Rowling is the amazing author of the Harry Potter series. 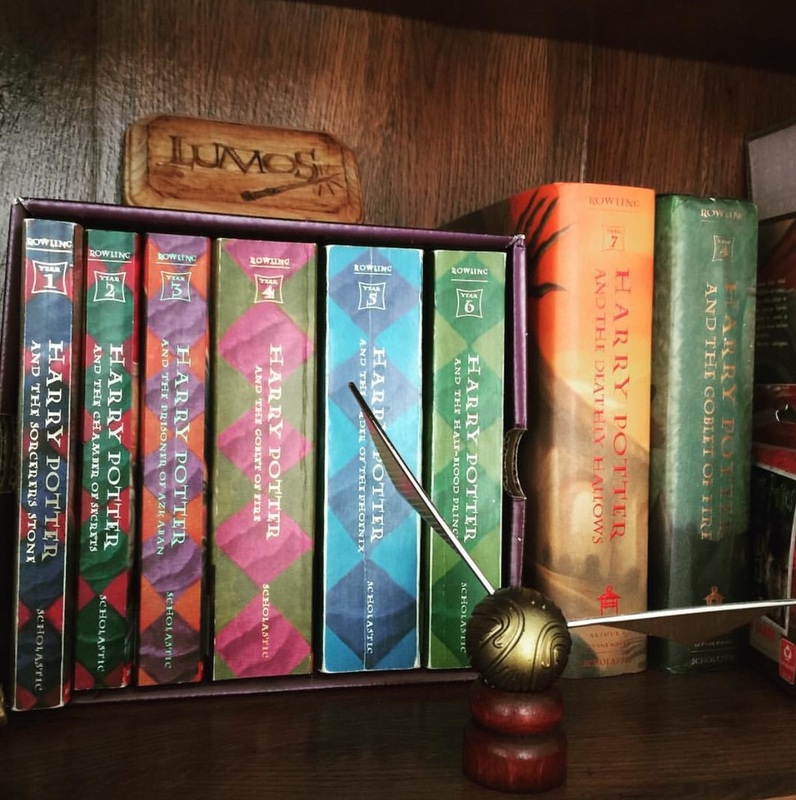 You might not know this about me, but I’m a die-hard Harry Potter fan. I can also say that this wonder wizard saved my life. Here’s my open letter to Jo. I came across the fourth Harry Potter book when I was still a teenager. I used to be an avid reader, but at that point in my life my love for books had slowly faded away along with my willingness to breathe. For this reason, I had never read any of the three previous books before Goblet of Fire. As I wondered about my life in my post-adolescent years, I picked up your book and embarked on the best journey of my life. I couldn’t put it down. I didn’t know Harry before his fourth year, so I took it upon myself to investigate, and what better way than to read the three previous books. As Harry grew up throughout your amazing narrative, my lonely soul grew with him. He was my companion, and my best friend. He showed me that you're not alone, even when you think you are, and that there’s always a way to defeat your demons (or your dementors). I got to know and adore Hermione, and Ron, and to experience their own frustrations, sadness, and happiness. Hermione showed me that being nerdy is cool (in my own way), and that being a girl is synonymous with being strong. I walked the majestic hallways of Hogwarts, and rode the train to Hogsmeade a million times, just to have a butterbeer at the the three broomsticks. I never got lost at Hogwarts because I always had the Marauders Map handy, and I enjoyed every Care of Magical Creatures class Hagrid taught. I wanted to help Hermione with SPEW, and was annoyed by Peeves. I learned about dragons, and how to calm down a three-headed dog. I wished I could try out for the quiddich team, and I always wondered if I was a Gryffindor, or a Slytherin. I could also -probably- see a thestral, and ride on a hippogriff while fighting a dementor with my very own cat patronus. I followed Harry through his journey of discovering himself, as I also discovered myself. I cried like a baby when Sirius died, and laughed every time the Weasley brothers played a prank. Ms. Rowling, thank you. Thank you for saving my life, as I entered in a deep depression, immune to medication and conservative treatment. My heavy spirit was crying helpless in the face of the emptiness filling my life. Nothing worked until I picked up your book. Harry showed me a different, magical alternative to my pained reality. Reading your words worked better than anything I’d tried, because your story showed me that happiness can be found even in the darkest of times, if one only remembers to turn on the light (thanks Dumbledore). Thank you for allowing us to enter your world, for teaching me that I don't need felix felicis to be lucky, for showing me that being strong is hard, but possible, for letting me discover magic where none exists, and for opening the door to the unlimited possibilities of my own imagination. Thank you for saving my life, as I completed the three tasks and earned my own tri-wizard cup. I'm a muggle forever humbled by your creation.